·2018， 广东省自然科学基金，《面向类别不平衡的深度生成网络信用评估系统研究》 （2018A030313017）， 2018 -2021. Peking University, Shenzhen Graduate School. Future Internet Architecture (ICN/NDN, IoT), AI (Data Ming, Knowledge Graph), Blockchain, etc. 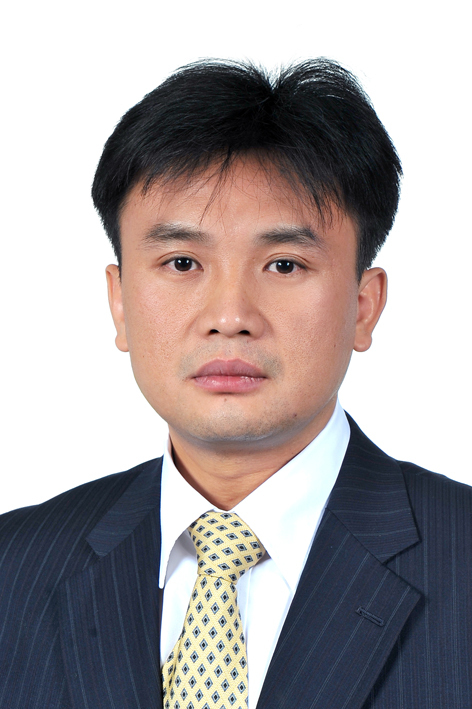 Dr. Kai Lei is an Associate Professor of the School of Electronics and Computer Engineering (SECE) of Peking University, Shenzhen Graduate School, and Director of the Shenzhen Key Lab for Information Centric Networking and Blockchain Technologies (ICNLab) and Center for Internet Research and Engineering (CIRE): http://netlab.pkusz.edu.cn. He has published over 100 papers including journals like IEEE Communication Magazine, IEEE Transaction of Industrial Informatics (TII), IEEE Transactions on Knowledge and Data Engineering (TKDE), IEEE Transaction on Multimedia, Knowledge-Based Systems (KBS), Neural Computing and Applications, IEEE ACCESS, Artificial Intelligence In Medicine, Journal of Biomedical Informatics, ACM Transactions on Information Systems, and conference papers such as SIGIR, COLING, ICPP, SIGCOM WKSP, INFOCOM WKSP, VTC, GlOBECOM, ICC, WWW, etc. His recent research interests including Future Internet Architecture, Blockchain, NLP,AI and Knowledge Graph . He also authored a book titled “Information Centric networking and Named Data networking” in Chinese with PKU press in 2015. Before joining PKUSZ in 2005, Dr. Kai Lei had extensive IT industry working experience in USA: Software Engineer, Google, Mountain View, CA; Project Lead, Oracle, CA; System Engineer, Citigroup, New York and Summer Intern, IBM T.J. Waston Research Center, New York from 1999 to 2005. 6. Ying Shen, Lizhu Zhang, Jin Zhang, Min Yang, Buzhou Tang, Yaliang Li, Kai LEI*, “CBN: Constructing a Clinical Bayesian Network based on Data from the Electronic Medical Record” J. of Biomedical Informatics, (SCI Q1, IF: 2.447,ISSN: 1532-0464,20/104 ), Sep. 2018. 12. Ying Shen, Kaiqi Yuan, Daoyuan Chen, Joël Colloc, Min Yang, Yaliang Li, Kai Lei*, “An Ontology-Driven Clinical Decision Support System (IDDAP) for Infectious Disease Diagnosis and Antibiotic Prescription”, Artificial Intelligence In Medicine (SCI Q1, IF: 2.879, ISSN: 0933-3657, 31/132), Feb, 2018. 19. Kai LEI, KeKe Li, Jie Xing, Bo Jin, Yi Wang, “Distributed Information-agnostic Flow Scheduling in Data Centers based on Wait-Time”, IEEE Globecom 2018, Abu Dhabi, UAE, 9-13 December 2018. 60. Ying Shen, Deng Yang, Jin Zhang, Yaliang Li, Nan Du, Wei Fan, Min Yang, Kai Lei*, “IDDAT: An Ontology-Driven Decision Support System for Infectious Disease Diagnosis and Therapy”, The IEEE International Conference on Data Mining series (ICDM Demo), 2018. 65. Ying Shen, Daoyuan Chen, Min Yang, Yaliang Li, Nan Du, Kai Lei*, “Ontology Evaluation with Path-based Text-aware Entropy Computation”. The 41st International ACM SIGIR 2018, Ann Arbor Michigan, U.S.A. July 8-12, 2018. 66. Ying Shen, Yang Deng, Min Yang, Yaliang Li, Nan Du, Wei Fan, Kai Lei*, “Knowledge-aware Attentive Neural Network for Ranking Question Answer Pairs”. The 41st International ACM SIGIR 2018, Ann Arbor Michigan, U.S.A. July 8-12, 2018. 67. Min Yang, Qiang Qu*, Kai Lei, Jia Zhu, Xiaojun Chen, Zhou Zhao, Zhexue Huang, “Investigating Deep Reinforcement Learning Techniques in Personalized Dialogue Generation”, The SIAM International Conference on Data Mining (SDM), San Diego, USA, May 3rd, 2018. 70. Qiang Zhang, Chenwei Liu, Shangru Zhong, Kai LEI*, “Spam Comments Detection with Self-Extensible Dictionary and Text-Based Features”, IEEE ISCC 2017. 76. Qian Yu, Kai Zhang, Weitao Weng, Kai LEI*, Kuai Xu, “Hot Topic Analysis and Content Mining in Social Media”, 33rd IPCCC 2014, Page: 1-8, Austin, Texas, USA, Dec 7th, 2014. 78. Kai LEI, Kai Zhang, Kuai Xu, “Understanding Sina Weibo Online Social Network: A Community Approach” , in the proceedings of 2013 IEEE GLOBECOM 2013, pp.3114-3119, Atlanta, USA, Dec 9th -13th, 2013. 79. Kai LEI, Sibo WANG, Weiwei SONG, Qilin LI, “Size-Constrained Clustering Using an Initial Points Selection Method”, 6th KSEM 2013, Pages: 195-205, ISSN: 0302-9743, Springer LNCS. Dalian, P.R.China.